Playing the Alcatraz Escape Game for the first time, in fact playing any Escape Game for the first time we were escape room newbies. The Story; Alcatraz Federal Penitentiary Prison, the ultimate maximum security prison home to infamous gangsters and dangerous criminals. 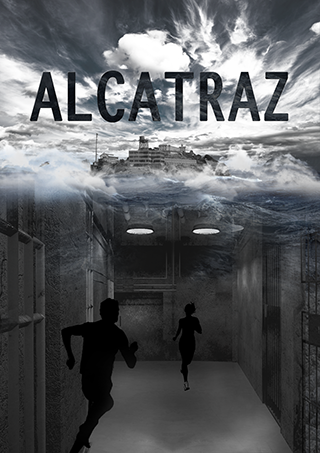 Surrounded by the dark waters of San Francisco Bay, no prisoner has ever successfully escaped. Alcatraz has just reached its maximum capacity for the first time in history – because of you. You are escape masters no prison has held you yet. You have all the skills and your planning is second to none all you need is the opportunity and that has just occurred right now. The warden as rushed off as an incident has occurred in the next block, the perfect diversion which has left your cell unguarded. This is your chance, maybe you only chance to make your escape attempt. Can you escape before he returns and catches you? Until we weren’t, super confused, misunderstood, at a standstill. The clock, still tick, tick, ticking we could call for a clue, but there would be a time penalty. Clue? Penalty? Clue? We couldn’t decide, the pressure! We took the Clue, what can I say? We’re not proud but we were on our way again, determined to escape. I’ll not give any game spoilers out but I know what your thinking, did they escape? No, sorry not this time we were beaten by the Alcatraz Escape Game but it was tremendous fun, we loved every minute, all 60 of them We left buzzing, discussing team tactics for next time, yes, next time because we can’t wait to go back. In fact, we need to go back because we can’t be beaten. Alcatraz Escape Game today, Abducted Escape Game tomorrow and as we are now planning to complete them all we had better add Trapped in the Gallery , Seven and The Revenant Escape Games to the list. We are Escape Game newbies turned Enthusiasts. Try the Escape Rooms for yourself .